Fourtitude.com - TCL, what car is this? TCL, what car is this? Thread: TCL, what car is this? I stumbled upon this image on another forum but I can't recognize the car at all. Funny you say that because there was a sport model available for a bit that was compared to the 3-series in at least one review. I think it's a Tercel. I remember test driving one when they were new. Vinyl seats, black bumpers, and manual everything. I ended up going with a Civic DX hatch instead. It is but those aren't stock wheels. So it isn't a Tercel? Well ****. 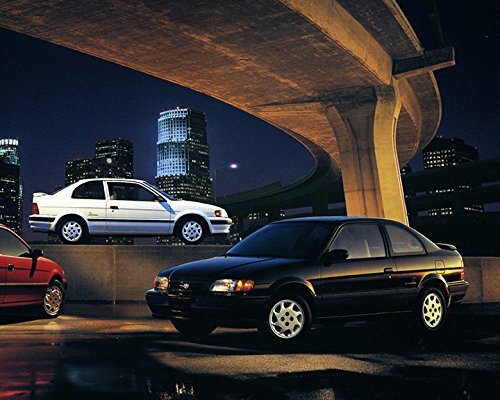 There's a photo of a late 90s Tercel in red at a car show that I used to see fairly often... it had enough 3er styling details to cause you to double take, but I had never heard of one being compared to the BMW otherwise. 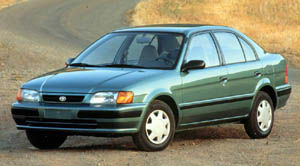 The picture was taken in Japan (at least looks like it) so we know 100% this is NOT A Tercel. It's either a Toyota Corsa or Corolla II. No matter what you say, I still think it's a Tercel. Where I come from that’s called a Turdcel. Oh come on, that's just the janky translation. Yooper doesn't count dontchaknow. Ill just add that it has been a long time since Ive seen one of these on the road and they used to be quite popular. They came in 3 forms, the black hawk, red hawk and white hawk. Thank you for this elegantly simple laugh. TCL: What car is this ? TCL: What car is this? Oh mighty TCL. What car is this? Official TCL "What car is this?" Thread - someone knows about that POS! TCL: what car is this?? ?